Tuesday is always a good day to visit the Fairfax Farmer’s Market. There’s rarely a crowd, only in summer when long tour buses line up along 3rd and hordes of Japanese and Germans crowd the market. Since the grass knoll and flashy shops of the nearby Grove were built, the place has also become a haven for yuppie moms pushing four-figure strollers, often two-seats with darling twins. It’s fertility drugs and hormones in the food supply that are responsible for all the multiples these days, and all in the service of ancient gods most of these people couldn’t name. When autumn rolls around, the crowd melts down to mostly locals again. In the early morning many of the Grove shops aren’t even open yet and the stroller brigade won’t invade for another hour. 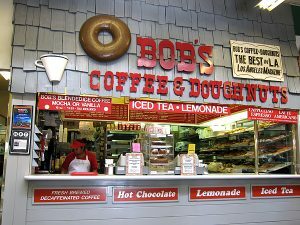 You can easily get a quick breakfast at Charlie’s (Dupars tends to be crowded), then stop by Bob’s for a doughnut and some coffee. On most days, and always on Tuesdays, you might notice two tables pushed together, surrounded by a group of some half-dozen men of varying ages. Most of the men are very casually dressed, jeans and jogging suits dominant. One of the men is always wearing dark glasses and a wide-brimmed hat. Another is seldom seen without his leather flight jacket. They are always talking and drinking coffee. Sometimes they play cards, sometimes dominoes. They are altogether an innocuous group. Perhaps the oddest thing you may notice about them is they never take out a phone or tablet and do not festoon their table with electronic devices, just their coffee cups and danish plates. I’d only been out of town four days, but the trip was almost a month ago. Recovering from the experience in New York took a lot more than expected. It had been over three weeks since I had been out of the house. Getting some fresh air and exercise was imperative. Coffee and doughnuts would also be nice. There are few places in the city better for those things than the Fairfax Farmer’s Market. The only thing I needed to be concerned about was my state of mental health. Even though I felt good, it was probably a good idea to avoid crowds. You never know about the residual effects of being around so many ciphermoles. As a result of the multiple spacetime displacements I’d had to employ to get out of New York, I’d completely lost track of the days so I had no idea it was Tuesday. Not that it makes much difference: the old guys are there every day, and given my habits and tastes, there was no avoiding them. They saw me before I even got to the counter of Bob’s. Someone called me over. “Wait for me to get my coffee and donut,” I called back. It didn’t take long. The service at the doughnut counter is fast and efficient. “When did you get back in town?” someone asked. “Where have you been?” someone else asked. “I couldn’t tell you,” I said. “It must have taken me seven or eight hops to get back. 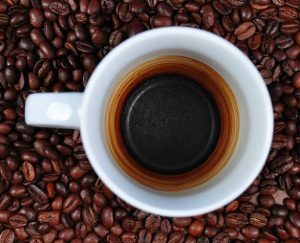 When I got back I slept for about a week.” I took a sip of my coffee. He was right about the coffee. I took a bite of donut and looked around. “It was raining.” I sipped my coffee. “He’s not going to tell us,” someone realized aloud. “Word gets around fast,” someone added. That was a good rumor, one that would do me a great service and probably result in more work. But I couldn’t have the old men believing such a thing. They might start putting too much trust in me, or worse: start thinking I’m some kind of hero. “There were only three,” I said. “And I didn’t exactly defeat them. At least, not in combat,” I admitted. They all leaned forward to hear the story. Which is always my favorite part. I told them the rest of the story as quickly as I could. As they became engrossed in the telling, they asked fewer questions. It wasn’t until I got to the escape that they made any comment. This was apparently where I had caused the most problems for everyone and thus had become the unwitting subject of some controversy during my recuperation period. This was news to me. I didn’t remember any hops off the continent. The most distant had been to Point Barrow, which was where I had evaded the last ciphermole. “You went from Barrow to the Vatican,” one of them told me. They didn’t have to tell me but they did anyway, and of course insisted on knowing why I had done such a dangerous and disruptive thing. I took a minute to consider my answer, sipping my coffee and pretending to think deeply about it. It was long enough that one of them finally felt forced to speak. “The coffee is strong today,” I began. “And like I said, you’re not the boss of me.” And you’re not so big, I thought-sang, knowing at least one of them would hear it. There were solemn glances all around the table. Kabbalists are always so solemn. It’s all the kneeling and praying in Hebrew that does it. “Then we can’t extend any more of our protections to you,” one of them said. His official manner seemed more officious, but I let it slide. Old guys are like that sometimes. Especially old Kabbalists. I shrugged, almost out of coffee. 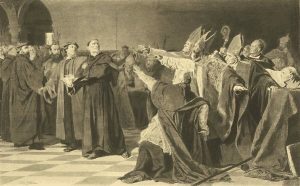 “You might not be so glib when the Jesuits come after you,” one of them scolded. At least one of them laughed at my hubris, which was probably a good thing. At least, that’s my take on it, and that’s the story I’m telling. Copyright © 2019 Postmodern Angst. All Rights Reserved. The Magazine Basic Theme by bavotasan.com.